Organized and first gathering for worship in 1882, erecting its first (and present) church in 1884, and incorporated on November 22, 1885, Grace Lutheran Church has a rich history of communicating the unconditional and undeserved love of God, displayed in the life and death of his Son Jesus. We offer Sunday school for children, a youth group (the Strieter League) for teens, Bible class for adults, adult information class for prospective members (or those who are simply curious about what we teach and believe), and corporate worship for all. Grace also works with nearby churches St. Paul and Trinity to provide special opportunities for worship and service to the community at large. Our church is located 1.5 miles west of County Road K, 1 mile west of Van Der Geest Dairy, and 1/4 mile east of historic Taegesville. 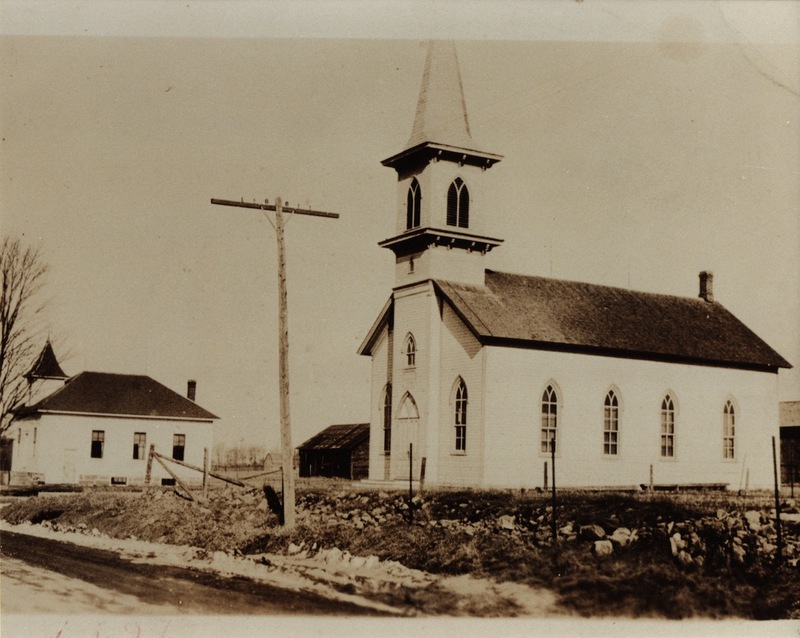 Also pictured below is Grace Lutheran Church and schoolhouse in 1937. The schoolhouse was dedicated on August 31, 1924, in connection with the congregation’s 40th anniversary, and was used for Catechism instruction, summer religious instruction, and meetings. It was torn down in 1961, its functions being replaced by the current parish hall which had been constructed in 1959.